Caroline Carr: Depression affects everyone’s life in one way or another – either directly through experiencing it yourself, or indirectly through loving or caring about someone who does. It is likely to be the result of a combination of some of the following: life circumstances – what has occurred, and what is occurring in the person’s life, the type of personality a person has, and how they deal with things generally, whether or not depression runs in the family, genes and DNA. Depression can come on suddenly as the result of a trauma or stressful event – although it may not show up till some time afterwards. Or it can build up for years. Some people can have one bout during their lives – or several. Others feel sad and gloomy for months or years. In some cases, it never really goes away. When a person is depressed, they can become so focused on their negative thoughts and feelings, that it becomes their normal mood state. They can’t seem to break this. To them, everything has a down side – as if they are stuck in an ever-shrinking, oppressive mental black box. They cannot just ‘snap out of it’ – they would if they could, because all they want is to feel better. People describe feeling as if their life is spiralling out of control; therefore any unhelpful behaviour is likely to be a result of that. Everyone’s experience differs, and this may change as they sink into a deeper state of depression. It is thought that men and women experience and deal with depression differently too. Some people feel and exhibit anger, some do not. Many people do not have the energy to be angry. They may be in a state of lethargy and hopelessness. Different types of depression are more debilitating than others – and more serious. SAD affects some people over the winter months due to reduced exposure to light. This is thought to affect the chemistry in the brain. It is fairly common in the UK, and the symptoms are similar to those of depression. But, some people are affected adversely by bright sunlight and hot weather too, particularly if they are experiencing high levels of anxiety. For more details, see the article on Healthy Soul: Are you sad? This is when a person’s mood is generally low, and this affects all aspects of their life for longer than a few weeks. Often, it’s not triggered by anything in particular. It seems to come from a shift or change ‘within’ the person, and there may be no obvious reason for it. I think it’s really important to see the doctor in the first instance, because any symptoms could be due to something else, such as another illness or infection, or a deficiency of some kind. Assuming that there are no medical issues though, treatment offered usually includes medication, often combined with talking therapy such as psychotherapy or Cognitive Behavioural Therapy (CBT). However, many complementary therapies work really well in the treatment of depression. Caroline Carr is the founder of http://www.mypartnerisdepressed.com/. She is a hypnotherapist and life coach and the author of Living With Depression – how to cope when your partner is depressed. One of the most difficult aspects of depression is that few people recognise when they are feeling really bad. It often takes someone else close to you to point it out before it registers, but it’s not uncommon for someone with depression to be in denial. This particularly impacts on partners, who are living with them every day and who know them well enough to recognise the signs. Immediately this can cause conflict that can lead to relationship problems, and in some cases can result in break up. So how can anyone deal with a depressed partner? 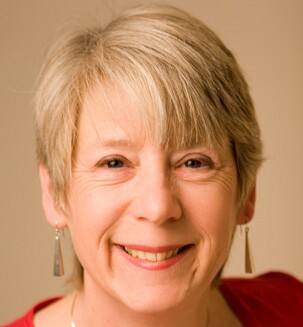 Caroline Carr, hypnotherapist and life coach, has started a website, www.mypartnerisdepressed.com 020 7467 8517 or 01202 731385 to provide guidance to people in this situation. She also offers workshops and consultations, and has an e-book on her website that you can download free of charge. See at the end of the article for details of a competition to win a free session with Caroline. Caroline is kindly offering her time to one lucky winner (£500 prize value), either in person in Dorset or London, or through four telephone coaching sessions.To win a session with Caroline please email vitality@pegasuspr.co.uk with the title ‘Healthy Soul competition’ before 31st March 2012. This is particularly important when there are children in the family too. ‘My advice is to talk to children, making it age appropriate. They pick up on the vibes even if they are very young, and they can feel the hostility and aggression that’s below the surface. As soon as they can understand it’s perfectly acceptable to say, “Mum/Dad is not very well and that’s why they are behaving like that.” It’s so important that they don’t blame themselves. ‘Depression is so intangible and it eats into every aspect of life. It can have many causes – something that has happened in the past, hormone imbalances, deficiencies in certain nutrients, or something more obvious that has happened recently, such as bereavement. Stress is the main reason for long-term sickness absence from work according to the 2011 survey by the CIPD (Chartered Institute of Personnel Development). 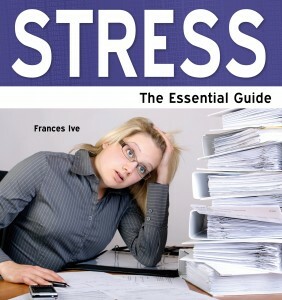 Around 13.4 million working days a year are lost because of stress and stress-related illness. With the current financial crisis more and more people will become stressed as jobs go and people lose their homes. There’s no doubt about it that many people feel stressed these days and there are plenty of external factors that contribute. Aside from divorce, bereavement, and illness we have traffic jams, overcrowded trains, financial pressures, job insecurity and when you want to ring up your bank you have to spend half an hour pressing keys or listening to ‘soothing’ music. Does this mean that in the past Britons’ lives were easier? It’s unlikely – as you go back in time you encountered world wars, fighting or early deaths from childbirth or ghastly diseases? So is it that we just think we’re more stressed than ever today? The pace of life doesn’t help. If we compare ourselves with our mothers and grandmothers we pack much more into 24 hours than they ever did. We think nothing of racing across two counties to meet someone for lunch or have a business appointment. Computers enable us to churn out far more work than manual typewriters did, and washing machines let us to do washing at any time of the day or night instead of spending an entire Monday doing it. Therefore the pressure to perform, produce and simply do more is much greater than it ever was before and it’s hard sometimes to get off the treadmill and become laid back. Stress is not an emotion in itself but it is often linked to depression, anxiety, anger, grief, frustration, guilt or sadness. It makes you feel as if you can’t cope and that everything is overwhelming you. Everyone reacts differently to specific situations – while one person may love travelling, the next person can find flying scary, or another may enjoy speaking in public and someone else will find it very stressful. The workplace is a great source of stress for many, either because of internal politics, bullying, too much pressure, too much work, the volume of emails to contend with, or poor conditions and pay. There are also pleasant events that end up becoming stressful such as getting married. There are many other day to day stress triggers which don’t compare with those listed above, but can seem too much when everything else is going wrong – traffic jams, overcrowded commuter trains, being left hanging on the phone for long spells, and busy supermarkets. Having established that life is stressful the only solution open to us is to learn to deal with stress better. Some people do get more stressed than others, but no-one seems to be immune to it. Allowing yourself to accept things more readily arms you for the tough times when everything seems to go wrong. Feeling guilty – how often do you do things because of guilt, when you feel you ought to do something that you don’t want to do? Perfectionism – are you forever cleaning and clearing up or redoing things to meet your own high standards? Judging – do you feel dictated to by what you feel you should be doing and concerned about what others ‘should’ do for the best? Saying no – do you accept invitations when you’d rather not go, or are you always being asked to do things for people that you don’t want to do? Taking on too much – do you think that you do work or household tasks better than anyone else, so you always end up doing them? Procrastinating – do you put off what you need to do until it becomes urgent and causes you extra stress? Worrying – do you lie awake at night worrying about what might happen to you or your family? Making changes to the way you are is not an easy thing to do if you have always been that way. Just reading the list above can make you more aware and able to try to stop yourself. Maybe you need some help to improve your self-esteem and to change the way you look at life, so that you have the tools to cope. In the long term there is much that you can do to improve your own lot, so that when you have to encounter serious stress such as illness or the death of someone close you have a better philosophy of life which helps you cope better. Counselling can be very helpful and enables you to unburden your feelings to someone who is not emotionally involved or judgemental about what you say. CBT (cognitive behaviour therapy) has been recognised by medical experts and the government as a preferred treatment for depression, but there are precious few therapists available on the NHS. CBT therapists help you to examine unwanted and negative thoughts and beliefs, and look at ways of changing behaviour or reactions to them. Life coaching is different from counselling and is often undertaken on the phone. It is less involved with deep feelings but gives you guidance about particular areas of your life that are making you feel stressed. Hypnotherapy and NLP (neuro-linguistic programming) also enable you to make deep changes in the way you react to situations. 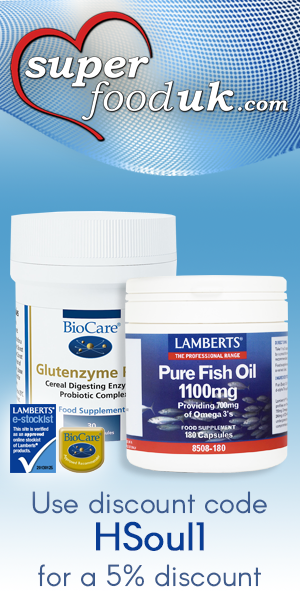 To make our bodies more resistant to stress it is important to eat and drink healthily. Poor diet, too much alcohol, caffeine, or cigarettes make you more likely to suffer from mood highs and lows. If you don’t sleep well and find it hard to stay calm at any time, you could try relaxation techniques such as meditation, which is simply a method of getting the mind to shut off and calm down. It is as important to put time aside for relaxation as often as you can, as it is to make time to exercise. Regular exercise keeps the body healthy and releases endorphins, the ‘happy’ hormones. Yoga and t’ai chi are excellent choices of exercise if you regularly suffer from stress as they provide both physical exercise and are mentally calming. When you are going through a period of anxiety herbal remedies (check with a doctor if you are on medication) such as Valerian or Passiflora have calming properties and are not addictive like anti-depressants. Complementary therapies such as massage, reflexology and healing give you time and space to wind down and enjoy some nurturing. Most people know what it feels like to be depressed – and it is entirely normal to feel down following bereavement, divorce, redundancy or other life problems. It is when depression becomes a way of life that it becomes a problem, and often this is hard to recognise. Sometimes it is someone close to you – a friend, relative or colleague – to recognise that you need help. Anti-depressants may be the most common treatment but they aren’t always the most welcome. It is true to say that they make people feel better and are often suitable for a bad patch, but there are sometimes side-effects, and if taken for long enough they can become addictive. Doctors were criticised for putting housewives on Valium in the 1970s and 80s because they became seriously addicted. More recently there have been worries about drugs like Seroxat which have made some people much more depressed and in some cases led to suicide. SSRI drugs like Seroxat are not given to young adults any more because of several highly publicised suicide cases. In this instance the therapy that the National Institute for Clinical Excellence (NICE) and the Depression Report are keen to offer is Cognitive Behaviour Therapy because it appears to work quicker than counselling. What can someone with depression do? Despite the shortage of therapists it is wise to visit the GP with any of the symptoms of depression in case there is another cause. It is also possible that you might be in a practice where counselling is on offer. Many people take their own action and pay to see a counsellor because they can’t wait for the NHS to provide one, because they don’t want to take drugs and because they want to know that they can have more than a few sessions. What happens when you go to a counsellor? A counsellor does not tell people what to do but guides them to making the best decisions for themselves. The advantage of seeing a counsellor is that they are not emotionally involved with you and during the session they are dedicated to listening to you and helping you to take charge of your life. Counselling and psychotherapy examine childhood and patterns and beliefs that were built up in the past. In extreme circumstances if someone suffered abuse as a child it shapes their whole lives and by examining it and trying to come to terms with what happened can help them to move on. But some people don’t feel that their childhood was unhappy, but they subconsciously pick up messages from their families as a young child that can hamper their future development. This may be anything from sibling rivalry to parents who loved them a lot but appeared to always be working. If the doctor cannot refer you to a counsellor it may be necessary to pay – for those who can’t afford it there are some organisations that accept minimal payment. For example if there are relationship issues you can go to Relate alone or as a couple and they ask for a fee if you can afford it. If the NHS starts to employ more counsellors it is likely that they will be providing Cognitive Behaviour Therapy (CBT) because it is particularly suitable for just several sessions. CBT aims to examine unwanted and negative thoughts and beliefs, and looks at ways of changing behaviour or reactions to these. It is based on the belief that thoughts and behaviour patterns build up over a long period of time with roots in the past. Unlike other therapies it doesn’t go deeply into the past and is believed to work quicker – hence the interest from the Health Service. CBT challenges the kind of thinking which keeps you stuck in destructive and negative behaviour patterns and uses techniques to uncover what is behind these. The link between nutrition and depression is being increasingly recognised by nutritional experts and often it is found that simply taking sugar and wheat out of a diet can substantially improve mood. For instance, young people eat and drink so much sugar in sweets, processed foods and fizzy drinks that their blood sugar levels are fluctuating up and down – giving them instant highs and real slumps. Similarly caffeine causes the release of dopamine which turns into adrenalin and noradrenalin in the body and makes you feel stimulated – people often talk about their caffeine fix. However, adrenalin causes glucose (blood sugar) to be released into the system stimulating mind and body similarly to sugar. A couple of hours later the slump has set in and it’s time for another cup of coffee, and so it goes on until someone feels unwell unless they are drinking coffee. Obviously alcohol induces the same problem. A constant cycle of this kind of eating and drinking can make people more and more depressed. Not only are there foods which literally depress the body but there are also foods that cause natural highs – healthy foods such as fruit and vegetables, and there are a number of food supplements and herbs which raise mood without the side-effects of prescription drugs. For example the amino acid, Tryptophan, produces serotonin that is usually lacking in people who are depressed and occurs naturally in turkey, milk, cottage cheese, chicken, eggs, red meat and soya beans. St John’s Wort has been proven in many studies to relieve symptoms of depression without side-effects, but it has to be avoided by pregnant women and should not be taken with prescription anti-depressants. Check with your GP if taking any other medication or if you are on the pill. Passiflora is a herbal remedy that soothes anxiety without addiction or side-effects. Flower remedies of all kinds can also be helpful – try Larch for lack of confidence, Oak for needing strength, Mimulus for fear. Food is Better Medicine than Drugs, Patrick Holford and Jerome Burne, click on Amazon ad below to buy.